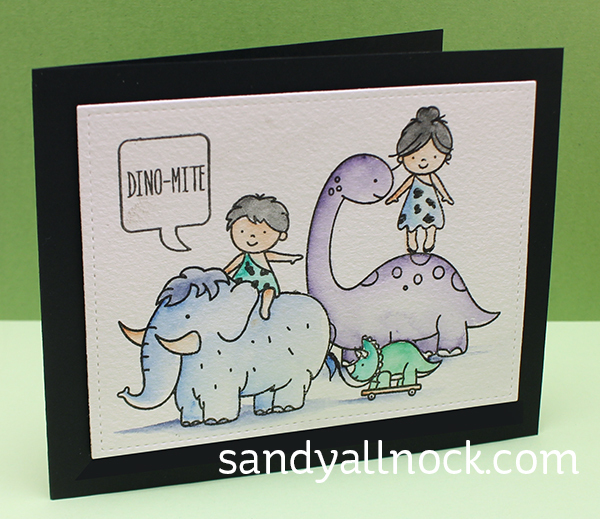 I know you guys laugh at me sometimes for my silly brain….but when I saw the positioning of the two little cave people in Prehistoric by Neat & Tangled, I kinda had to go there – and make them a little prehistoric circus to take part in. Watch the video below or click HERE to see it in HD on YouTube. Since I had stamped two of them, I was able to make a second colorway in brighter colors….. So sweet Sandy, you make it look so simple. LOL (I guess for you, it IS! haha) Just amazing water colouring! So cute. I have been working on my nephew’s first birthday decor which is dinosaurs. 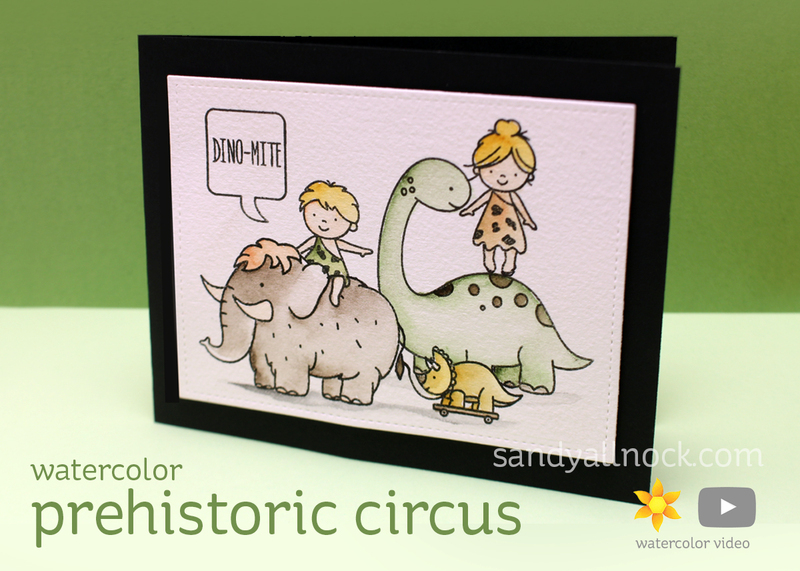 Cute stamps, sweet idea to put them together in a little parade for the circus! I love watching you work, and hope it will be that easy for me someday. Oh, and thank you for the email you sent yesterday with information to get into my watercolor class on your art-classes site – I was able to view the first lesson with no trouble. I appreciate your “go the extra mile” attitude! Looking forward to trying all the great background techniques!